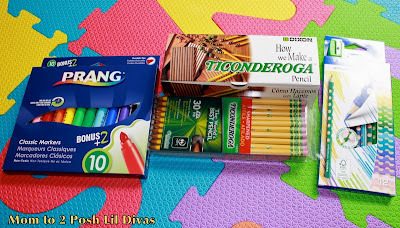 Google+ Mom to 2 Posh Lil Divas: Ticonderogoa - More Than Just Pencils! 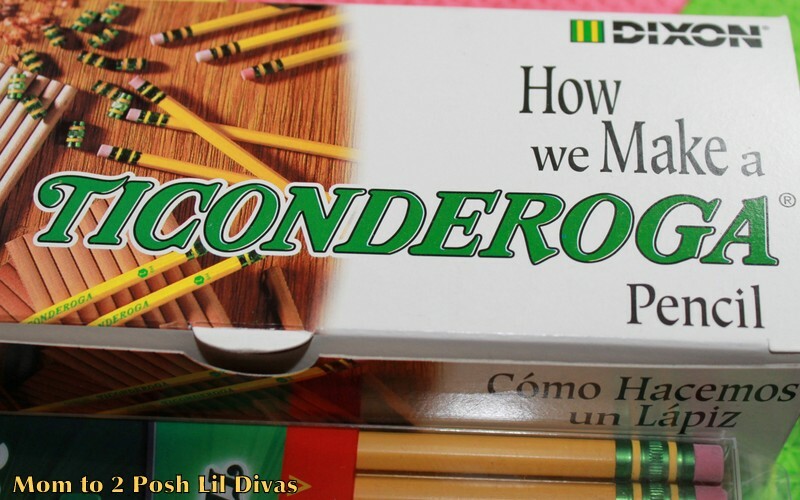 Ticonderogoa - More Than Just Pencils! 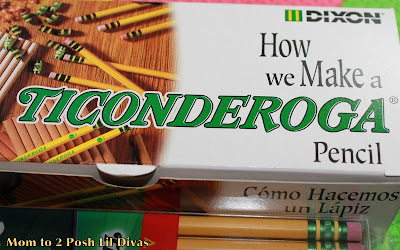 I know you've heard of Ticonderoga, especially if you have school aged children. Their pencils are used in schools worldwide. They were actually listed as the preferred pencil on my daughter's Back to School Supply list this year so I was very acquainted with their pencil products. I had no idea they had lots of other products, until the company contacted me and offered to send me a sample package to have fun with. They didn't ask for anything in return which was nice, they just wanted me to try their product. My favorite part of the package was the How we Make a Ticonderoga Pencil set. This was so interesting, both Lil Divas took the box to school to share with their classes. We got to see the different steps involved in making a pencil and it was awesome to see it firsthand and feel the materials in our hands. The Littlest Divas also got to sample some of the companies other products, Prang Markers and Lyra Colored Pencils with grooves. 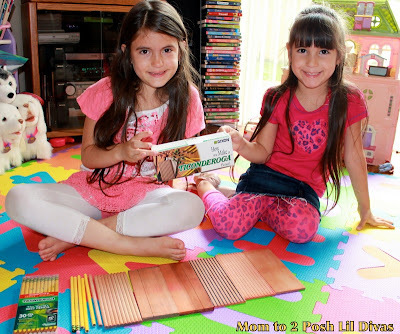 The girls love to color and draw and do so on a daily basis, so they are always open to using new drawing products. 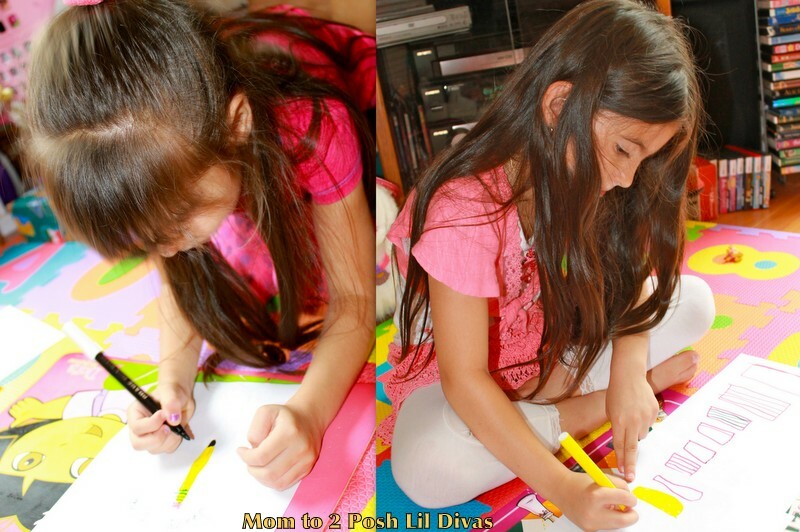 I couldn't resist snapping a few shots of the Lil Divas drawing pictures of pencils and the entire pencil making process. I thought it was so cute how they got so into it all. 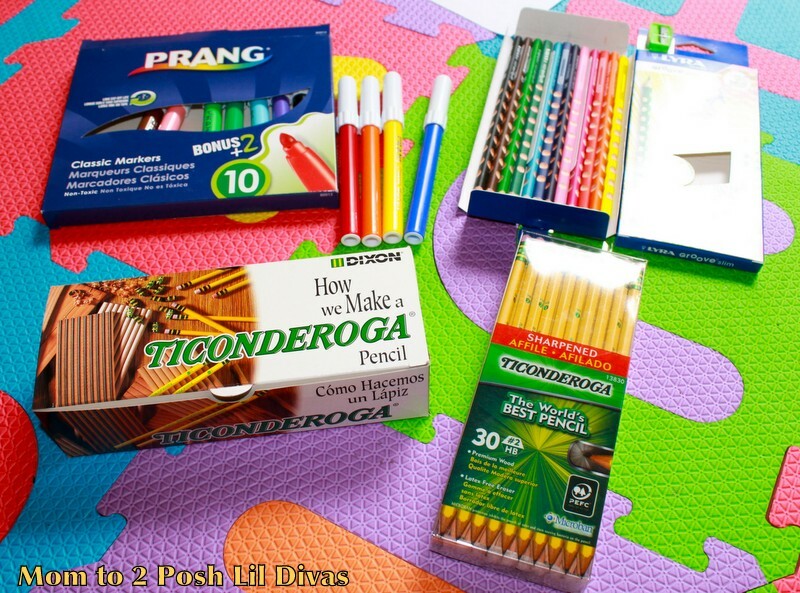 There is a fabulous program that I would like to share from the Dixon Ticonderoga family of products - it's called Prang Power. The program allows schools to earn points by turning in UPC codes from their products. Educators can then use those points to purchase school supplies (you can being redeeming points when you have banked 300 points). Schools can sign up for this program and anyone who signs up now also can also support a great cause - Kids In Need Foundation, which provides free school supplies to underprivileged children nationwide. For each new registrant who uses the promo code KINF, the company will donate $1 worth of product to Kids in Need, up to a total of $150,000. They are currently running a contest through through June 1, 2012. Anyone who signs up for Prang Power and uses promo code KINF will be automatically entered to win hundreds of dollars of art supplies in the Prang Power Prize Package. (10 winners will be announced June 1). See if your school participates in this free program. It's definitely worth signing up for! Disclosure: Dixon Ticonderoga sent me a package of sample products (pictured above) but they did not ask for a formal review, nor did they pay me to write a post. I did so because we enjoyed the products and I wanted to share both our experience and the Prang Power Program - which I feel is a wonderful program for schools and educators to know about. I've never seen Ticonderoga products before. I love the idea of the grooves on the pencils!